Private Psychometry reading appointments last approximately 40 minutes to one hour and are held in readers home. Psychometry readings provide guidance on material matters and advise influences that can influence your future well being. Astrology readings can be birth charts which provide a detailed assessment of influences that affect your daily life and how best to maximise benefit and avoid issues and concerns and where relevant health guidance. And remember you don't have to be a baby to have a birth chart reading, though many new Mums have charts drawn and interpreted for their beloved offsprings. A birth chart can be 'progressed' -a useful reading that will identify what to expect in the coming twelve months. Charts of individuals can be compared to identify common and bonding interests and advise on events. Businesses can have their charts drawn as well forecasting advantagous times ahead for their on giong development. 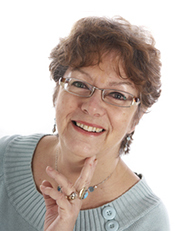 Pam's interpretive powers are no doubt aided by her psychic abilities -as the consultant Astrologer to the JCPF charity she also teaches Astrology.